Suicide Squad Character Poster - Slipknot. 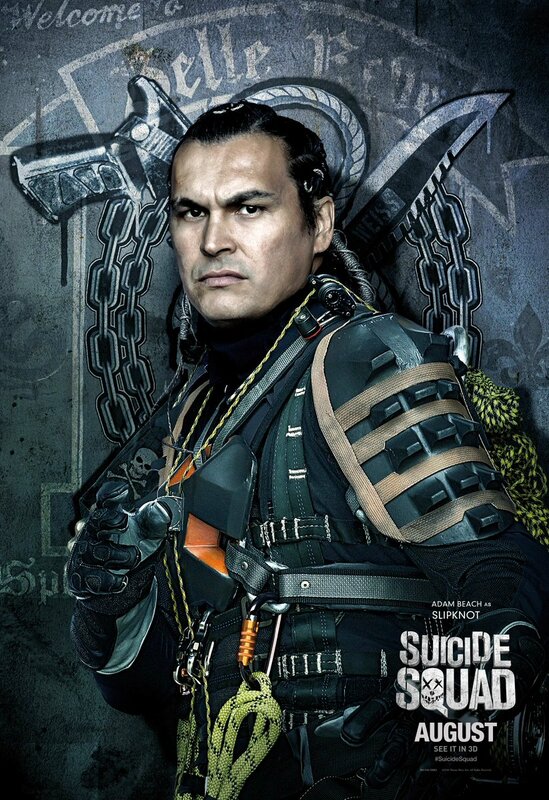 Adam spiaggia as Slipknot in Suicide Squad (2016). HD Wallpaper and background images in the Suicide Squad club tagged: photo suicide squad movie 2016 poster character adam beach christopher weiss slipknot belle reve. This Suicide Squad photo might contain fuciliere, berretto verde, forze speciali, soldato d'elite, soldato d'elite green beret, forze speciali, navy seal, sigillo, guarnizione del blu marino, and guarnizione.